I will be submitting this update to the Amazon app store as well. It should be available once it gets through their review process. This update has been due for a while. Android has advanced quite a bit since ICS (4.0+) and it was a challenge implementing new SDK features while maintaining cross compatibility with older versions of Android. I decided it was time to end the cycle of despair, toss out the old and obsolete, and embrace the new hotness. So starting off, this is the first version that will not support Android Gingerbread (2.3.x). 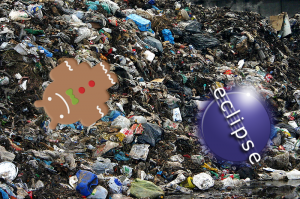 And on top of that I decided to stop using Eclipse. So what exactly is this new hotness? First is a full redesign of the interface, using holo interface elements, fragments, view pagers, things that were simply difficult or impossible to implement before. Next is the use of Android Studio which is far and away more capable as an IDE. 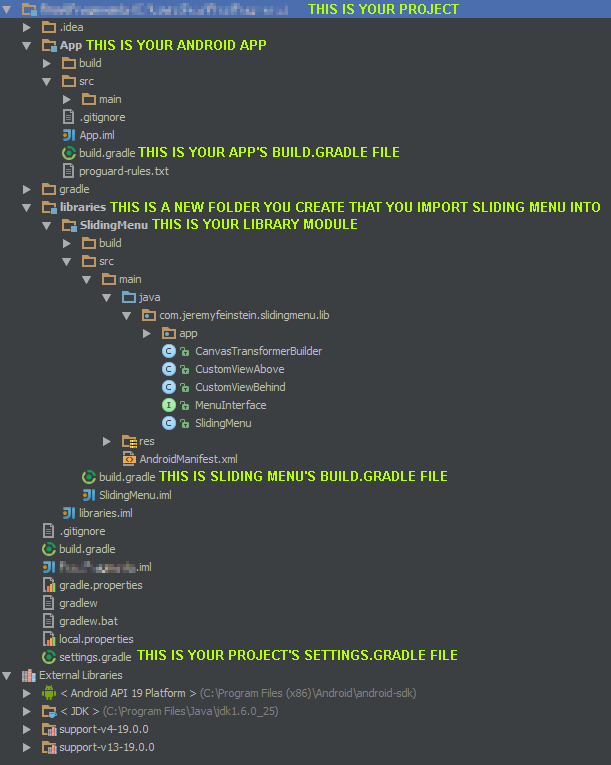 Part of Android Studio includes Gradle integration, which is a powerful build system with Android support. Thanks to this, it will be a lot easier to release updates to Frost in the future. Lastly is support for the experimental ART runtime, which was introduced in Android 4.4. Using maven (similar to NuGet for those of you familiar with the .NET world) and gradle together makes it possible to include libraries in your project without having to manually download the source code and dump it into your project folder. Aside from making it easier to update to newer versions of those libraries as they are released, the imported files don’t clutter up your project folder structure and source repository as much as the complete library source. The downside is that this approach is not appropriate if you intend to modify the source code of the library. Open your Android SDK Manager and make sure you have the latest version of the Android SDK Platform and Build Tools installed (version 19.0.0 as of this post). 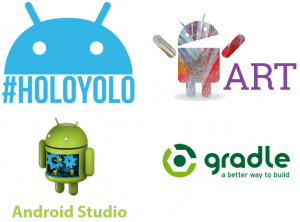 Create or import your project into Android Studio. Now look for the build.gradle file. There is one located in the root of your project, ignore this one. There should be a build.gradle file located in the main module within your project (where your application’s source and resources are). That should be it. On your first build you should see the folder: /libraries/ActionBarSherlock/actionbarsherlock/ appear in the root of your project. Any references to ActionBarSherlock should then resolve themselves in your code. The following steps are also relevant to other libraries available through maven, simply modify the “dependencies” section of the build.gradle. Version 2.7.0 of Frost has been released and with it comes big changes to the user interface. Frost first came out when Gingerbread was the latest version of the Android OS, and since then Android has made big leaps in how apps present themselves on the platform. The focus was on making it clear to the user what actions and options they had available to them at any moment, and because of that, the options menu button was removed, and action bars became commonplace. With that in mind, we’ve removed all dependencies for the option menu button in our app, and placed all functions that used to be there in menus or action bars that are easily accessible on your screen. You’ll notice the browser menu is now sporting a new look with many more buttons, and the image stash has undergone a makeover to make things easier to find. We’ve also recognized newer devices by including high resolution icons for their higher resolution displays. Frost has always focused on protecting our user’s privacy and with that we are happy to announce the addition of DuckDuckGo as a supported search provider in the browser. It’s only logical that we included DuckDuckGo as they share the same commitment to our user’s privacy as we do and we feel that it is the best option in protecting our user’s browsing habits. DuckDuckGo accomplishes what the larger search engines fail at, and that is treat its users anonymously. Your search queries are never saved or shared, and you can be confident your search results are never filtered based on profiling. As always, your suggestions and comments are welcome. Frost 2.61 has been released following the issues that Android 4.2 Jelly Bean caused due to Google changing the default provider for the built in AES encryption. Thanks again to all the users that reported the issue. We’re currently working on version 3.0 of Frost. Planned changes include a complete overhaul of the bookmark stash, most notably allowing for bookmarks to be organized into folders. Frost 2.6 has been released for Android. Good news for those of you with large image stashes: this release focused on improving performance in the image stash folder view. We’ve managed to make huge improvements in speed. Using older versions of Frost it could take upwards of 20 seconds to load stashes with 1000+ images and 50+ folders. With version 2.6 we’ve managed to speed it up to the point where it takes a fraction of a second. We’ve also made several changes based on user feedback. Cancelling a slideshow will allow the user to manually flip through the images in consecutive order. We’ve also finally fixed a bug that causes decode errors when trying to save images from certain websites. We plan on doing these speed improvements iteratively. In the next update we will focus on adding bookmark folders as well as tools to help you organize your bookmarks. Not to mention applying many of our performance improvements to the bookmarks view as well.